Binge-Watch & chill? Five Fantastic shows you need to watch right now.. Remember when you’re Parents, would tell you your eyes would go square if you watched too much Television? Binge-Watching might actually make your eyes do exactly that. Binge-Watching includes watching multiple episodes of a television programme in rapid (very rapid) succession. 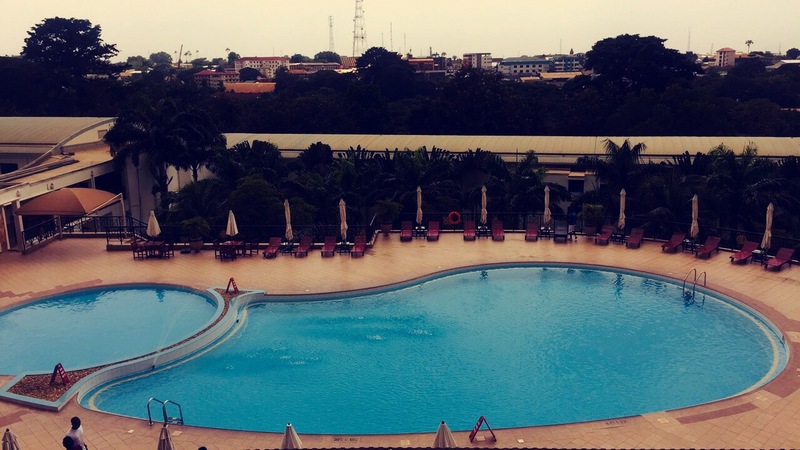 I am currently writing this blog post from my hotel room in the Golden Tulip hotel in Ghana, Kumasi to be precise. I love coming to Ghana as it’s technically my second home. The view from my room is beautiful, I even have my own balcony, I don’t miss London, not yet anyway. I am here for 2 weeks and I decided I would make some time to write another post for you guys. I’ve been thinking about writing this one for a while now, as like most people, I have Netflix as an app on my phone (super handy when on holiday) and if I’m not on Netflix, I’m Binge-Watching elsewhere. As I’m away, I of course, have a list of shows I want to watch. I guess you could call it an episode wish list. 1) Pretty little liars is back with it’s last ever season. Okay, I am obsessed with this show. As soon as I started watching it, I was hooked. I really needed a distraction when I started watching this and because it’s an old show, I had 6 seasons to catch up on and enjoy. After a while, you actually feel like you know the characters, maybe that’s a Binge-watching symptom? Watching episode after episode can be the best distraction, especially after a long day. It’s a nice way to wind down and relax. Anyway I think this is the first show I’ve genuinely Binge-watched. I even sing along to the theme song when I’m watching it. What’s the show about? The show is an American teen drama mystery thriller television series about a group of girls from a town called Rosewood. The show follows the life of four interesting girls, Spencer, Aria, Hanna and Emily. However the friendship group is torn apart after the murder of their friend Alison. A year later, the girls begin to receive messages from the mysterious and very annoying ‘A’ who threatens and tortures them. I can’t say anymore except it’s amazing. It’s on season 6 now but there’s still time to catch up! 2) Thirteen reasons why, the title sounds like a strange love song but this show is based on a novel just like pretty little liars and many series out there at the moment. The series is about a high school student called Hannah Baker, before taking her own life (they aren’t all going to be this dark, pinky promise) she sends a sequence of cassettes to another student which explain the 13 reasons behind her actions. I haven’t started watching this yet but after finding out it was directed by Selena Gomez. I was pretty interested. However I can be quite sensitive at times and I thought it sounded quite dark and intense. I wasn’t really sure if it would be for me. however it’s been in the press a lot and lots of my friends have recommend it to me. So I’m going to give it a go! Let me know if you’ve started this show already! 3) Girl Boss, I am so excited about this one as I really wanted to read the book and I had no idea there was going to be a series based on the novel. I think this is one for fashionistas and entrepreneurs everywhere. This series is about Nasty Gal founder and American business woman Sophia Amoruso who began making millions from selling vintage clothing on eBay in her early twenties. Apparently the first item she sold on eBay, was a book she had stolen as a teenager.. rebel! She later founded Nasty Gal at the age of 22. In 2016, she was named one of the richest self made women in the world by Forbes and the New York Times has called her the ‘Cinderella of tech’. She believes not spending, helped her make her first million, that’s a tip for us all. Sophia is truly inspiring. Imagine your life story, turning into a Netflix series.. ultimate goals. Although the company isn’t doing as well now, the story of how everything came together is really interesting. Believe me, this isn’t a show you want to miss! 4) The immortal life of Henrietta Lacks. Another novel that has come to life and I am not complaining. First of all who doesn’t love Oprah Winfrey? Oprah plays the main character, the daughter of a woman called Henrietta Lacks. Who is Henrietta? Henrietta Lacks was an African American woman whose cells were able to develop outside of the human body. Her cells were used for great medical discoveries and are still alive today!! How fascinating. I can’t wait to watch this one! 5) American Gods. First of all, yes that is Calvin from Hollyoaks with an American accent and again I am not complaining. The series follows shadow moon (or Calvin from Hollyoaks) a man serving 3 years in prison. However shadow moon is given an early release due to his wife passing away. Shadow is offered a job from someone called Wednesday (strange) but he is actually a God (even stranger) Wednesday is travelling across America gathering all the old Gods who have incorporated themselves into the American life to confront the new Gods which include media and technology who are stronger.. it sounds very mysterious and maybe even a little bit confusing but that just makes me want to watch it even more!! Let me know if you have started watching any of these shows already and feel free to recommend any shows you think I should watch. Check out my latest YouTube video below. Previous Post “Who even writes this blog anyway?” My Dreams, hobbies, what’s important to me? And more..
Next Post The Labour perspective / Five Important reasons you should vote Labour today..